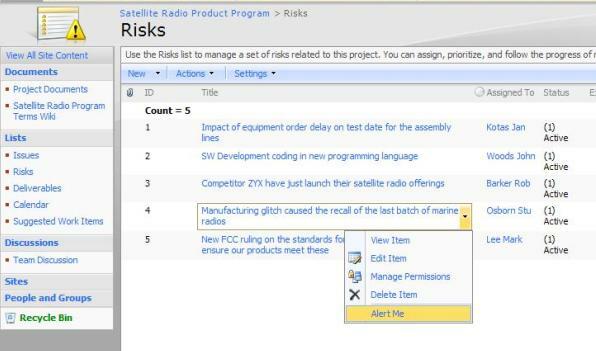 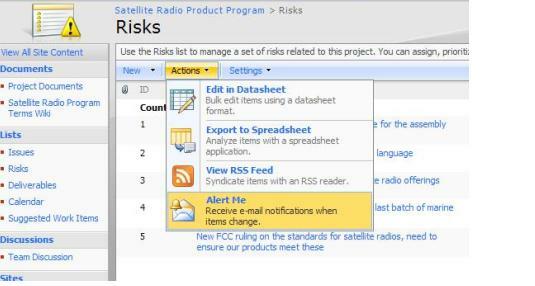 I am showing the Risk list in this example. 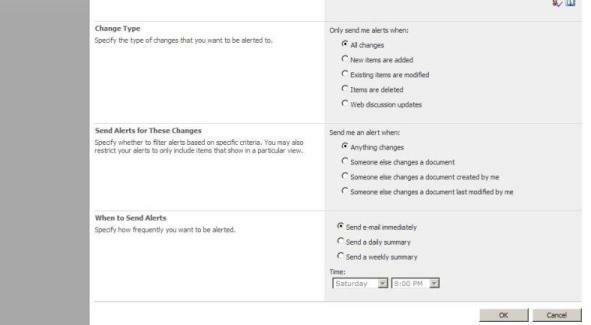 If you would like to aware of the changes performed on issues, risks or any custom lists on SharePoint site, you can setup email alerts. 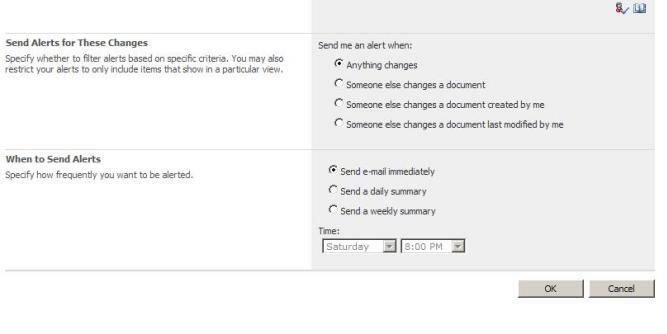 Windows SharePoint Services also have the feature that you can define the alert on single list item instead of entire list.